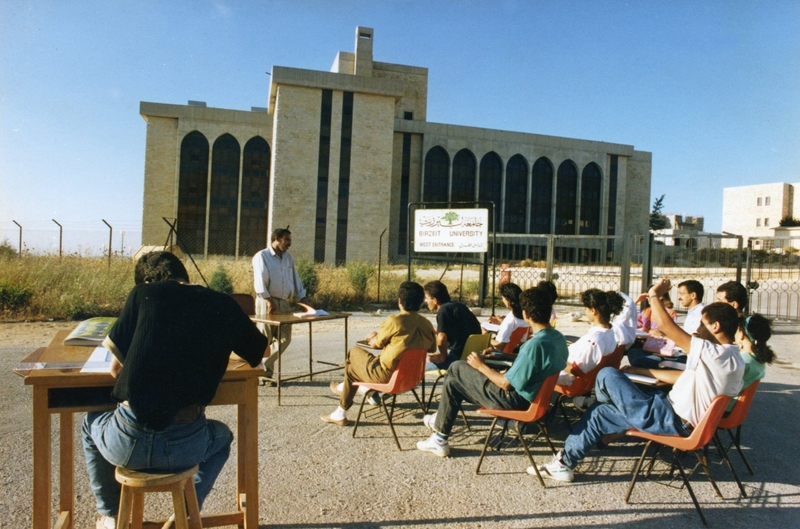 BZU students continuing their Education despite closing the university by military order from the Israeli Occupation in the 1980's. The International Covenant on Economic, Social, and Cultural Rights describes education to be; “both a human right in itself and an indispensable means of realizing other human rights.” Therefore, the Israeli occupation directly obstructs many Palestinians’ education, a behavioral trend which lends itself to a further disruption of other fundamental human rights. 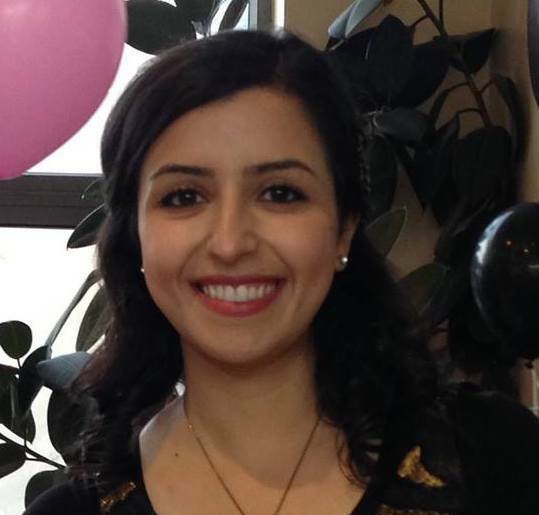 Palestinian students in the primary, secondary, and even in the higher education sectors find themselves trapped in a political mire of an occupation which has lasted for over six decades. Whether via the means of humiliating checkpoints, unlawful seizure of equipment, or unprovoked imprisonment; the occupation flies in the face of neutral academia, leading teachers, students, and academic institutions to risk their personal safety in order to maintain the integrity of their proud institution. Birzeit University is one of the many Palestinian institutions in the West Bank territory that has experienced the aforementioned violations against its students, faculty members, and facilities. These violations have been at a steady rise since 2014. Close to eighty Birzeit University students, along with two faculty members, have been wrongfully detained, with twenty-five arrests occurring since October 2015. Furthermore, many, if not all, those arrested were held without charge or under false pretenses. The statement was released later on the same day Israeli forces raided the campus close to three o’clock in the morning. The incursion consisted of armed men entering the Student council building as well as the Science department, confiscating much needed equipment and data in the process. The imprisonments and raids are not uncommon, and have been a regular occurrence for years. Many students, like Sama, have to cross through a bigger cage, Qalandia checkpoint, which serves as one of the largest, longstanding checkpoints in the West Bank, twice a day. “Sometimes, it takes an hour…an hour and a half…two at most to cross, but I’m lucky. I’m in my own car. People that have to travel by bus and taxis have it worse.” she remarked. Even so, students have to face the unpredictable happenings at the checkpoint: from random stops and drawn out interrogations and searches to borderline inhumane treatment at the hands of Israeli authorities. With such affronts to basic human decency, it is no wonder that popular protests are frequent around the West Bank, with one of the most popular among the Palestinian locals being located near the ‘Bet El’ settlement north of ‘Al-Bireh.’ Since October 2015, hundreds of students from Birzeit University leave the university campus, hop on buses, and form demonstrations denouncing Israel’s continued violations. Simultaneously, the educated youth are trying desperately to communicate a plea to the global academic community which seems content to stand on the sidelines. These young academics want to convey their dissatisfaction of the international power-holders when it comes to resolving the heinous occupation and finding a way to end the conflict. Amidst the chants and teargas, protesters don’t want to keep fighting for the rest of their lives, but want a better today. Education is commonly thought to be the key to success, and for Palestinians, the right to education is one of many rights frequently violated. If education is regarded as being one of the most crucial tools in obtaining enlightenment and stability, how can the Palestinian youth achieve this if Israel does not only cease impeding the right to education but goes further, offering a feasible solution to an ever growing issue? Given the extraordinary adversity Palestinians face in pursuing this basic human right, the Right to Education Campaign at Birzeit University aims to document and take action in hopes of attaining a solution to the unacceptable realities of an education under occupation. When asked what they would say to future generations in Palestine regarding their pursuit of education in the midst of a cruel occupation, a student from Jalazon refugee camp quoted Francis Bacon: “knowledge is power.” Birzeit University students know this all too much, and this very idea is what keeps imprisoned students from pursuing their degrees after they are released. Such is the situation for Lina Khattab and many others, and it is what keeps students crossing checkpoints like Qalandia through the wee hours of the morning and long after the sun sets.